So excited to share with you & give an opportunity to partner with us in this creative outreach & discipleship initiative utilizing Martial Arts!! We’ve been pretty hidden but busy for the last 5 years shaping & transforming lives in our Christ Centered martial Arts program- The School of Warrior Arts ( www.schoolofwarriorarts.com). Pretty amazing story how I was led into starting the school in the first place and led into this expression of martial arts and various other creative expressions as well.......I’ll share more of that story in a update post to come! After much prayer, fasting, & council we are confident to move forward into a new season!! Inorder to go to the next level we need to create awareness that we exist with effective marketing & be able to support & sponsor those in our existing program or want to be in the program who can’t afford it. Plus, our intention is also to help launch other Christ centered programs & partner with other christian martial artists who need help integrating a faith based approach. We also want to creat a network of like minded martial art instructors, school owners, & practitioners who want to grow together, collaborate, & impact the martial arts world for the gospel! Help us make it happen. We need your prayer, financial support, and connections to those you think fit the “bill”. I believe we have a powerful & effective program with a unique niche to serve the churches, christian families, & the extended community! Students & potential students in need of scholarships! Create awareness & help us grow! Life giving & transformative ventures that reaching the nex generation! 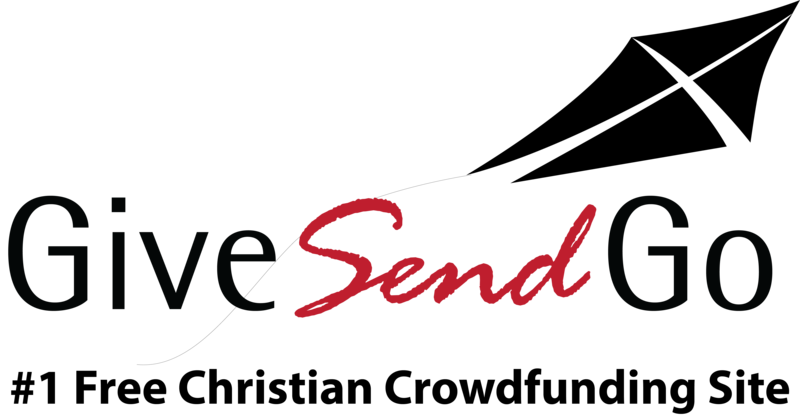 Our Friends Created "Givesendgo" & its a free platform and dont take out fees - We're giving them 1% from what we raise so I added that into the donation amount. Thanks Guys!! Thanks so much for considering partnering with us!!! It's time to equip our children. But first we must equip their Teachers. Please give prayerful thought to a monthly donation and change a child's life forever. Many Blessings for all who do. So grateful for your support and your consideration to support us and the vision! I'm more excited then iv ever been and with greater clarity on the path forward! There's many exciting things in development and I belive strategic networking happening with other like minded leaders, martial artists, and athletes who want to use their platform for the gospel. Together we achieve more and Im believing for fresh partnerships that will lead to greater impact! So many people, from children to those advanced in years, train in the martial arts and for different reasons. Some for health & fitness goals, some for self disciple, character education, & confidence, some for competition, achievement, & self defense, some for a positive community..... there is so much there. School of Warrior Arts, provides all of that but with the most important ingredient - Jesus! Our curriculum & method powerfully integrates the gospel & the truths of Scripture for a holistic development of every student. Help us spread the wealth & spread the word!! thanks for your prayers, considerations, and support!! !